Fair prices and easy to work with. I leased for 3 years and then purchased my lease vehicle. Very happy with the folks I dealt with for both experiences! Very pleased with Kate's knowledge and attention to our needs! Excellent test drive and explanation of all new features. Pleasure to work with her each time we met. Came from out of state to buy a car from James, couldn't have asked for a better salesman or an easier process to arrive and drive away. The internet team did a great job in quickly providing their "best offer" blessed by the management team. Excellent experience, no pressure, good deal. Matthew X was helpful and friendly. Would recommend to family and friends. Will definitely return to buy again. Truck is running great! My husband and I were expecting this to be an all day process so we made sure to have a babysitter, but it only took us one hour to test drive our Traverse, get our old car appraised and work out a deal! We were very impressed by everything and will be going back to Hoselton when our lease is up! I needed to buy a car after a car accident I had been in. I called ahead and when I got there, Bob had two cars warming up for me to test drive (because it was the coldest day of the year)! After test driving we sat down and reviewed my experience with the car. Throughout the whole process, Bob was genuinely interested in helping us find the right car for our family. We bought the car that night and he surprised my kids with cookies while we were waiting to finish the paperwork. The next day when I came to finalize the papers, he surprised me with cookies and coffee! (my favorite) I would definitely recommend Hoselton to anyone. J.J.Santiago made my overall buying experience comfortable, easy due to his knowledge of the vehicles and asking the right question, "what do you want". Thank you J.J.
Service was great very professional.They met my every needs.Kyle Stanton my service advisor was excellent.Reccomennd him highly.I felt very confident with the service. Proudly Serving East Rochester for Nearly 100 years! We are proud to serve East Rochester, NY area since 1920! We are family owned and operated by four generations of the Hoselton family. Our dealership complex on the corner of Fairport and Marsh Roads provides an easy and unique shopping experience of over 2,000 new and pre-owned vehicles all in one convenient location! We are only 15 minutes from the city of East Rochester and just off I-490. More than 2,000 New and Pre-Owned Vehicles in Inventory! We have a huge selection of new Toyota, Chevy and Nissan vehicles as well as over 250+ used vehicles. 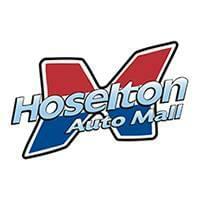 Every new vehicle includes the exclusive Hoselton Advantage and every pre-owned vehicle includes the Hoselton Promise. Stop down and take a look around! We have satisfied customers from Buffalo to Syracuse and all over Rochester including: East Rochester, Fairport, Penfield, Pittsford, Victor, Webster, Irondequoit, Macedon, Palmyra, Walworth, Canandaigua, Henrietta, Scottsville, Rush, Chili, Churchville, Bergen, Avon, Spencerport, Gates, Brockport, Greece, Hilton and Hamlin. If the Hoselton’s sticker’s not on your car, then you probably paid too much! We always have great deals on new and pre-owned Toyotas, Chevys and Nissans — check out our current sales and lease specials and incentive programs. If you are a recent college graduate or have served in the military, we have special savings programs for you! Read more about the College Grad Savings Program and the Hoselton Military Savings Program. If you’re looking for a pre-owned vehicle, look no further! We have cars under 10K and red-tagged specials that are priced to sell! We can help you with all of your service and parts needs including: oil changes, synthetic oil changes, oil filter change, lube/oil/filter change, air filter change, new tires, tire rotation, wheel balancing, wheel alignment, nitrogen tire fill, brake pads, brake resurfacing, brake system inspection, multi-point vehicle inspection, New York State Inspection, interior doll up, exterior doll up, hand car washes, coolant check, air conditioning service, windshield wiper blades, winter windshield wiper blades, wiper blade inserts, bedliners, splash guards, mud flaps, vent visors, hood protectors, floor mats, all-weather floor mats, winter floor mats, minor maintenance, major maintenance, plus so much more!